As I took a look at my photos from Sunday's Shamrock Shuffle, I noticed this gem. The lady in red, guy in white and I are all in sync with our stride, arms and facial expression. (The guy in orange might also be in sync with us too!) Kim suggested that we create a new sport of "synchronized running." I think it could be fun while running a race with friends to have pre determined poses to do for the camera- which would make for some great photos which I think I would want to buy (as opposed to the lackluster photos of just running, weird facial expression, eyes closed whatever). Do you think you could have ran a race faster if you paced yourself better? While I feel I gave a great effort Sunday, I think I felt too "good." 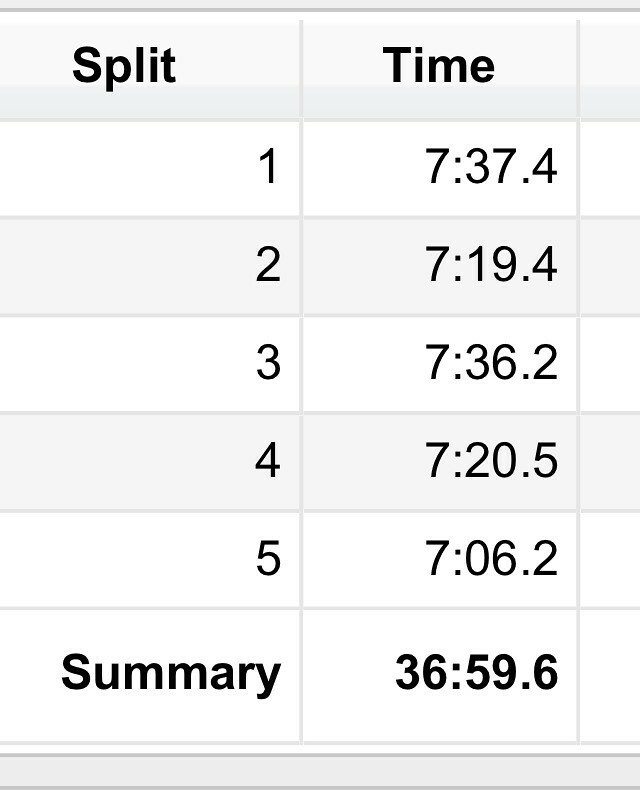 This race should have been a lung burner, but it felt comfortably hard for me. Yes, I negative splitted the race. But maybe I could have been a little more aggressive in the earlier miles? It is difficult to figure out a good pace without a proper warmup- especially for a short race like Shamrock, but I almost feel I could have pushed just a little more into the uncomfortable zone throughout the whole thing. I'm going to conclude that running outside more for speed work, and recognizing paces without the aid of a GPS watch would help significantly. Back in HS cross country we used to run 400's without a watch (before GPS watches existed) to get a feel for our race pace. This could be a useful tool for other fast short races. I am also scared of going out too quickly & fizzling out after mile 1. I need to find balance. Consistent racing of shorter distances would probably hone these skills also. I was thinking about the pacing issue because last night I did a speed workout and almost ran the same time I got in Shamrock and felt fantastic. Workout: 800 @ 7:24 (pace), 800 @ 7:18, 1200 @ 7:18, 1200 @ 6:58, 800 @ 6:45 with active 400's between each interval for a total of 5 miles in 38:30. (About 1:30 slower than Shamrock) the paces felt easier than expected so I kept making each interval faster. I also wore my Pure Cadence 2's for the first time in a few weeks and they made me feel springy and fast! I wonder if I don't HTFU enough for races? How do you pace yourself for shorter distances? Damn. That is a killer speed workout. To have the 800 and 1200 at the same time?! DAMN!!!!! You go girl! What do you plan to do more to work on pace? Run intervals outside w/o looking at the watch (but have it on, for data)? I kind of do that now... I run as fast as I feel like I should then check later to see if I hit paces. I am totes on board with promoting synchronized running. I wonder how long it will take them to add it to the Olympics! Does pace matter in synchronized running?! Heh. I want some puppy kisses! In my 8k PR 2 years ago at the Shamrock, I ran every mile at exactly the same pace. I felt like I was holding back in the beginning, but the field went out too fast (I think lots of runners start it with their 5k pace). By the end, I was picking off runners in mile 3 and 4, but not speeding up at all. By the last mile, I was just trying to hold position, the last mile was a burn to keep the pace steady, but I had runners on my heels that kept my pace honest the whole time (I hate runners passing me near the end!). I think Mt. Roosevelt slowed us all down, but I made up for the time with a 200 yard sprint from the top of Roosevelt Rd. down to the finish line. Since the race posts the mile splits for every runner, you could examine how the top 10 people in your age group ran, did they negative split or run a steady pace? Then you might get a better feel on how to competitively pace the Shamrock or another 8k. BTW, nice speed workout! I have never done an 8k, but I think I would approach it like a 5k or 5mile, I try to run ever mile about the same, getting slightly faster the last mile. Love the synchronized running photo that is pretty awesome! Love that pic! Yes that watch can fool you, maybe consider doing some fartleks without it. It gives you a false sense of security and I think it just makes you good at hitting splits instead of dictating pacing by feel. Honestly that garmin I'm convinced limits people. 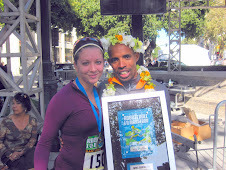 You are an insanely strong runner and I have no doubt that you have barely just tapped into your abilities. And the shoes, oh lord I have no rules these days. I've turned into a sneaker whore lately! While Brooks is my favorite brand, these days so many other brands make decent shoes that I've branched out quite a bit. Got em all in my collection these days. holy crap! you rock lady...:-) And awesome photo! And I stick with the same brand of show normally because it took forever to find the 'right ones' so I try to at least get cool colors! That race photo is pretty funny. 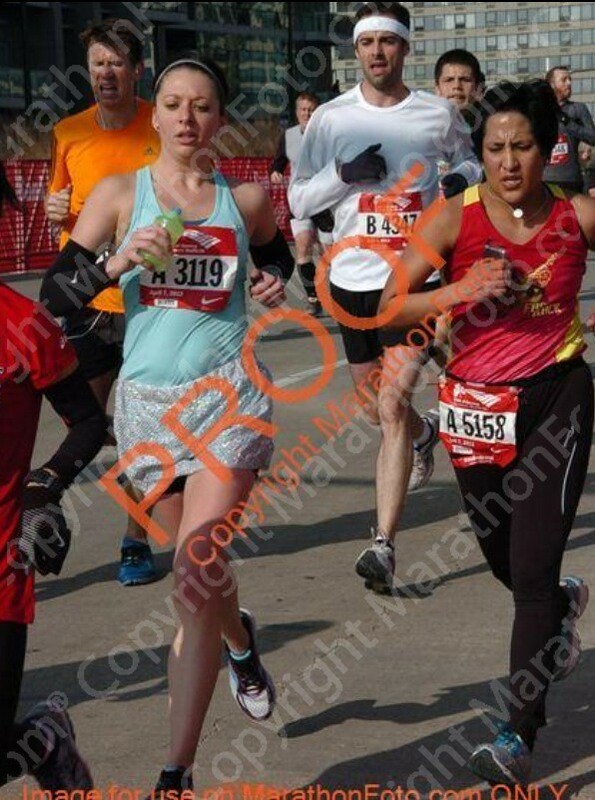 I hate looking at race photos, but actually had a funny one from my half on Sunday too. I love Brooks shoes and have worn them since college. Color doesn't matter to me, but fit is important. I OFTEN feel like I don't HTFU enough at races. I'm just not super competetive, so I'm left wondering if I could've run faster or held on longer or whether or not I just gave up. I am a one brand/model of shoe girl. And that's it. So I am left with the colors they have to choose from (which means, I really don't care). 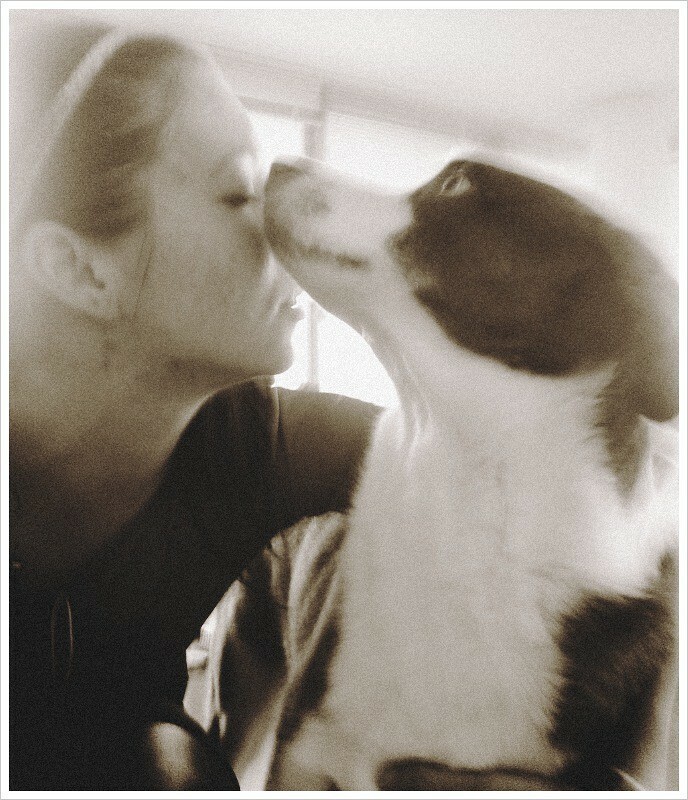 I absolutely love that picture of CB showering you with puppy kisses. So sweet!!! When it comes to running shoes, fit and support are super important (I've learned this the hard way). But I do admit that I like snazzy colors. I try to avoid buying white running shoes whenever possible! Bring on the obnoxious neon colors anyday!! !